They’ve put a S.P.E.L.L. on you. Last week, pop star Lady Gaga treated her fans to an ARTPOP film centered around the third release from her latest effort, “G.U.Y”, an acronym for “girl under you.” The clip has accumulated over 25 million views on YouTube thus far and is currently into the top 50 at CHR radio, meaning that it will likely make the Hot 100 in some capacity very soon. 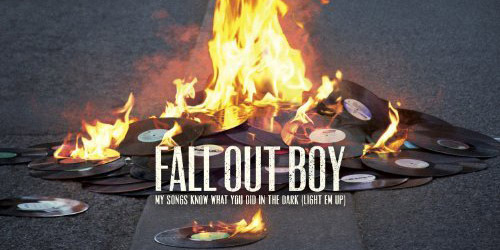 Considering the mixed reaction to this era in general, it could be the song to put it back on track. The quintet out of Gary, IN took the world by storm beginning in 1969 with four consecutive #1 single, with this being the second of them. 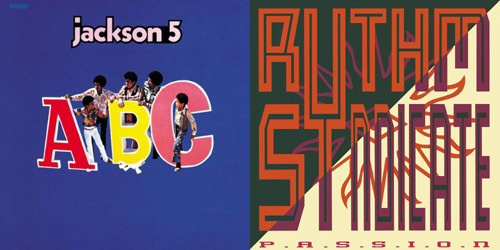 It was fully written and produced, as many of their early hits were, by Motown’s The Corporation. Life as a traveling radio disc jockey takes its toll on you, and so, Chapin wrote this ode inspired by longtime Boston DJ Jim Connors of station WMEX. Connors helped break the performer’s first big song, “Taxi”, during the spring of 1972. Green put out some absolute classics in the 1970’s, and although wasn’t one of his biggest on the Hot 100, it was one of his last #1’s on the Soul chart. After several years of declining sales, he turned to gospel music and became a reverend. The former Eurovision winners turned Swedish superstars made some of the best music of the decade, like this catchy tune. It remains the only entry ever on the Billboard Hot 100 to feature both an act and song title that are palindromes. Recorded on his 1975 album, Today, one of the King’s final top 40 songs was written by Jerry Chesnut, who was hot on the Country charts at the time. It later became a minor Country hit in 1993 for Travis Tritt, but missed the Hot 100. If there’s any song that will make you boogie down (and maybe spell out the title with your arms up in the air), then this would be good. It was the signature hit for these costumed singers – now, it’s a Bar/Bat Mitzvah and Wedding standard. The 1983 movie Eddie And The Cruisers made them stars and after living “on the dark side”, Scotti Bros. landed them a few other top 40 singles, including this, their final trek into the region. The Rhode Island sextet is still together today. The debut hit from this Connecticut sextet was huge on the pop charts, spending two weeks at #2 behind “(Everything I Do) I Do It For You”, the huge ballad by Bryan Adams. They charted four singles through 1992 before disbanding. Before she hosted her own daytime television show or even married couples at the GRAMMY Awards, the Queen took her rapping flow onto the charts during the 1990’s. This was her biggest hit, which also peaked at #2 on the Rap chart. For the word on W-O-R-D-S and everything musical in-between, don’t forget to click the “Get Social!” tab to find PGTC on social media. We begin with the group’s last ever top 40 single, a minor hit with the lead done by Anni-Frid Lyngstad. 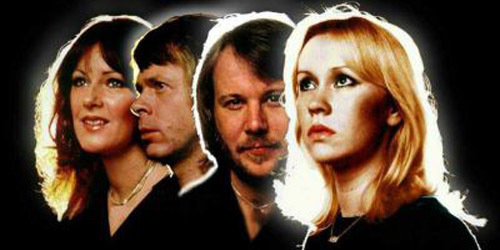 It was written and recorded during a period when she and husband, band member Benny Andersson, were divorcing. It topped charts around the globe and even became the name of a musical turned movie that incorporated the band’s music. Despite being so well-known, the song barely scratched the top 40 during its U.S. run as a single. “It’s a rich man’s world.” So says the fierce foursome on this single which smashed all across Europe, but didn’t light up any cash registers here in the States. A promotional clip for the song is inspired by the 1972 movie Cabaret. Agnetha Fältskog takes the led on this one, which I still hear occasionally on Classic Hits stations. This release holds the distinction of being the only charting Hot 100 single in which both the artist and single are palindromes. It was a big ballad that led off their 1980 album and one that resonated with many, becoming their last U.S. top ten hit. The band’s never performed the song in concert; understandably, it would be a very emotional experience. In most of the world, including in the United States, this was the song that started it all for them. Winner of the 1974 Eurovision Song Contest and a 5 million seller worldwide, it’s a classic and a little bit of a history lesson. This disco meets rock release is the only song on here with a lead vocal by one of the males in the group, Björn Ulvaeus. It was their last top 20 hit of the decade, though “Chiquitita” would make the top 40 by the end of the year. Don’t you just want to get out on the floor and boogie? As the band’s signature song, it ruled the airwaves and the clubs in 1977, becoming their only #1 on the Hot 100. A cover by the A*Teens made my personal chart in 2000. Named after a type of spotlight, this song from the group features a music video with a massive circus troupe, also depicted on the album cover. Though it missed the top 40 in the U.S., it managed top ten placement across Europe. For more on the band ABBA and all the dancing queens and super troupers you can handle, follow the blog below or hit the “Get Social!” tab to find out how you can connect with PGTC on social media.